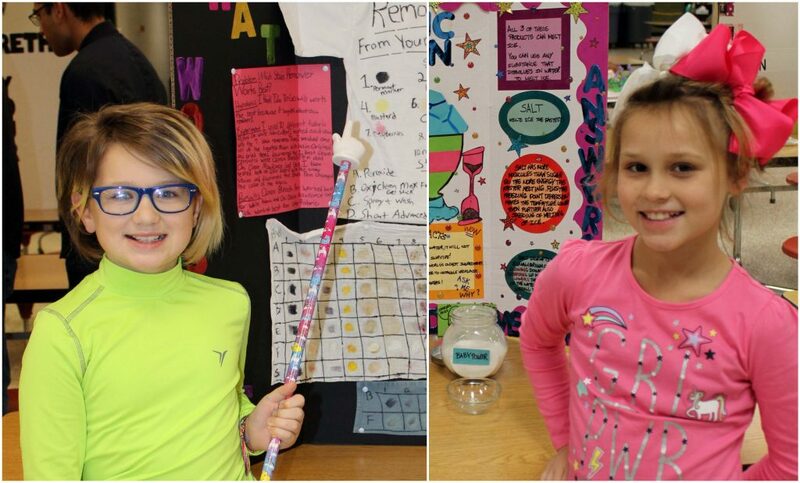 Paris ISD campuses recently held annual science fairs. 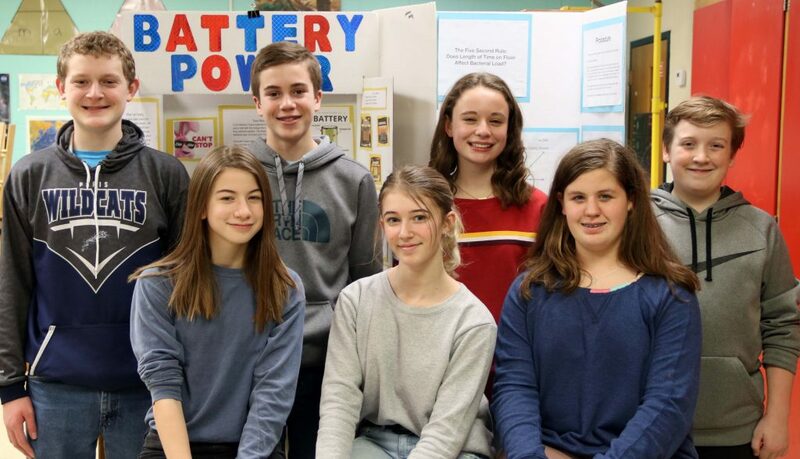 Fifteen students advance to the Region 8 ESC Regional Science Fair on Jan. 31 in Pittsburg for grades 4-12. Fourth graders advancing are Cylee Wherley and Farrah Rhodes from Justiss Elementary and Caroline Gillem and Jace Freeman from Aikin Elementary. Advancing from Crockett Intermediate School are 5th grader Mary Jane Torres and 6th graders, Nicole Octavio and Gavin Avery. Seventh graders Anderson Bunch, Curtis Fendley, Isaac Wear, and Madeline Green; and eighth graders Abby Perry, Brody Holleman, Makina Cass, and Anlyn Newberry advance from Paris Junior High. Mary Jane Torres, Nicole Octavio, and Gavin Avery. From left (seated) are Abby Perry, Anlyn Newberry, and Makina Cass. Standing are Brody Holleman, Curt Fendley, Madeline Green, and Anderson Bunch.